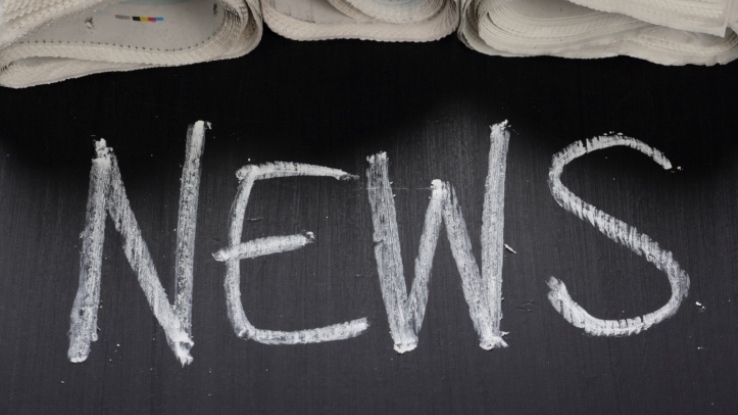 New technology products for insurance agents and new hires announced by national carriers are some of the news for this week. Digital Benefit Advisors (DBA), an employee benefits-only firm, has entered into a strategic alliance with True North Insurance. The firm will continue to operate under the True North banner and utilize an expanded DBA team and extensive resources to better serve client needs in all size markets. “DBA’s national footprint will offer a myriad of advantages to True North clients, providing a broader, more comprehensive offering of products and services,” said Brian Driscoll, managing principal of the Farmington, Conn., DBA office. Services will include a private exchange for employee benefits, custom employee communications, worksite wellness consulting and expanded insurance plan options, especially for voluntary benefits. The Guardian Insurance & Annuity Company, Inc. (GIAC), a wholly-owned subsidiary of The Guardian Life Insurance Company of America® (Guardian), introduced its first Qualifying Longevity Annuity Contract (QLAC) for The Guardian SecureFuture Income Annuity SM. Now individuals can designate a portion of their Individual Retirement Account (IRA) assets for use later in retirement so that these funds will not be subject to required minimum distributions (RMDs) beginning at age 70½. As Americans’ life expectancy continues to rise, there are growing fears of outliving savings and a heightened need for guaranteed lifetime income solutions. At the same time, many baby boomers are working longer and do not have an immediate income need for the RMD funds. Guardian SecureFuture Income Annuity SM with the QLAC option addresses these issues by allowing clients to defer a portion of their IRA income up to age 85. Life Trust3D™, a life insurance policy monitoring, management and consulting firm, along with its sister company, Colton Groome & Company, a provider of financial strategies since 1950, and its strategic alliance partner TOLI Vault™ announced its 15-year, $1 million+ sponsorship of the First Citizens Financial Markets Technology Center at the Lundy-Fetterman School of Business at Campbell University. As part of this sponsorship LifeTrust3D™ will provide Campbell students with the TOLI Vault™ software program, copies of Tate Groome’s new book, “…The Best Policy”, which will become part of the trust and wealth management degree curriculum, internship opportunities for students to get real-world experience and educational / guest lecturer presentations. Purchasing Power is now providing a financial wellness platform through its employee purchase program offered as a voluntary benefit. The platform is a holistic approach to financial wellness and allows employees to access a wealth of tools and resources focusing on budgeting, saving, paying down debt, setting goals and practicing healthy financial habits. The services are available at no cost to employers and are free to their employees with the exception of a fee to use alternative credit reporting. The platform is an online service provided to workers whose employers or organizations offer Purchasing Power’s employee purchase program as a voluntary benefit. The U.S. business group of Sun Life Financial has joined Mercer MarketplaceSM , making its short-term disability, long-term disability, life and accidental death and dismemberment insurance products available on one of the largest and fastest-growing private benefits exchanges in the country. Sun Life continues to expand its presence on private exchanges to give more customers access to its employee benefits solutions. With a full range of benefits, including traditional, supplemental and voluntary products, as well as robust decision-support tools, Mercer Marketplace provides a single point of access for employees to meet all their insurance needs. American Equity Investment Life Insurance Company, an issuer of fixed indexed annuities, celebrated its 100th Client Appreciation Event recently in Louisville, Kentucky. American Equity representatives hosted more than 300 policyholders and guests for an informal luncheon. The attendees enjoyed an opportunity to learn more about the industry, their individual annuities and ask Company leaders their specific questions. “It’s an opportunity for us to connect with our policyholders and producers. But our most important mission is to tell our policyholders ‘thank you’ for entrusting us with their money. It makes our work a whole lot more meaningful when we see and visit with the people who are depending on us to keep their retirement money safe,” said Ron Grensteiner, president of the company. MassMutual Retirement Services has appointed eight new sales representatives to support financial advisors as they serve the needs of plan sponsors in the emerging, institutional and employee benefits marketplaces. The appointments include six new managing directors (MDs) and two new business development managers (BDMs), bringing the number of MassMutual retirement plan sales professionals to 84. Scott Adams: Supports Institutional Markets and works with Emerging Markets Managing Director Jason Potter, covering the Rocky Mountain Region of Arizona, Colorado, New Mexico, Utah and Wyoming. Adams previously was a vice president of sales for Lockton Retirement Services. He has 18 years of experience supporting retirement plans. Joe Amaya: Is based in Grand Rapids, Mich., and partners with institutional markets’ managing director Daniel Darby. Amaya will support emerging market sales for Western Michigan. Previously, Amaya was regional vice president for John Hancock in Milwaukee, Wis. He earned his B.A. from Arizona State University and holds Series 7 and 63 registrations. Marc Doucette: Based in Glastonbury, Conn., Doucette will partner with emerging markets managing directors Rod Toppin, Will Deyoung, John Cunningham and Scott Littlewood, and will support institutional market plan sales for Connecticut, Western Massachusetts, Vermont and upstate New York. Doucette is a 20-year veteran of Prudential Retirement and CIGNA. Marc earned a B.A. from Central Connecticut State University and holds Series 7, 26 and 63 registrations. David Eliopulos: Based in Bend, Ore., Eliopulos will partner with institutional markets managing director Molly Knapp and will support emerging market plan sales for Oregon and Vancouver, Wash. Previously, Eliopulos was regional sales director for Paychex, Inc. He earned a B.A. from University of San Diego and holds Series 6 and 63 registrations. J.T. Gallinaro: Will partner with institutional markets managing director Jenny Dodson, supporting emerging market sales for independent financial advisors and benefit agents in Greater Houston. Gallinaro previously held positions at Lincoln Financial and John Hancock in their retirement plan services groups. He graduated from Villanova University with a B.S.B.A. and holds Series 7 and 63 registrations. Thad Letzer: Letzer partners with institutional markets managing director Francesca Messano, and will support emerging market sales for eastern Los Angeles. Letzer was most recently the regional sales director for Paychex, Inc. He earned his B.A. from California State – Northridge and holds Series 6 and 63 registrations. Rob Dziema: Was named BDM for the central division covering Iowa, Kansas, Illinois, Indiana, Michigan (upper peninsula), Minnesota, Missouri, Montana, Nebraska, North Dakota, South Dakota and Wisconsin. Dziema, who previously served on MassMutual Retirement Services sales desk, has been in the financial services industry for 16 years. He earned his B.S. from Marist College and holds Series 6, 26 and 63 registrations. Raul Vargas: Will support four MDs in Florida and covers Alabama, Florida, Georgia, Kentucky, Mississippi, North Carolina, South Carolina, Tennessee and West Virginia. Based in Orlando, Raul has been with MassMutual since 2012, serving the Florida market as a Retirement Education Specialist and has been in the financial services industry for 13 years. Vargas earned two bachelor’s degrees from Florida Atlantic University and a MBA from American Intercontinental University. He holds Series 7 and 63 registrations, and the Certified Retirement Counselor designation. New York Life announced that senior vice president Carla Rutigliano has been recognized in the 14th Annual Women Worth Watching® issue of Profiles in Diversity Journal. The women recognized by this national publication were nominated by their colleagues, peers, and mentors for their initiative and achievements. The list highlights women who are using their influence to change our workplaces and our world. Carla Rutigliano is senior vice president and chief of staff to New York Life Chairman and CEO Ted Mathas. In her role, Rutigliano ensures the oversight and coordination of key strategic initiatives in the office of the chairman and CEO, and provides a link between the Chairman’s office and all other business areas within the company as well as with external organizations. In addition to these responsibilities, she provides senior executive oversight to the New York Life Foundation. Rutigliano joined New York Life in 2001 in the Office of Governmental Affairs where she represented the company in both state legislative and regulatory matters. Prior to New York Life, she was an assistant attorney general in the New York State Office of the Attorney General, an assistant corporation counsel for the City of Syracuse Office of the Corporation Counsel, and an intern and staffer for New York State Assemblyman, Paul Harenberg. Rutigliano holds a J.D. from Albany Law School at Union University and a B.A. in Political Science from SUNY Albany. In other New York Life news, the company announced that over the summer all four major rating agencies have affirmed the company’s highest possible ratings for financial strength, with a stable outlook. Fitch Ratings affirmed the company’s financial strength rating of AAA,its highest possible rating, on August 11, 2015. On August 6, Moody’s affirmed its highest financial strength rating, Aaa, on New York Life. Also, this past July, A.M. Best affirmed its A++ (superior) financial strength rating on New York Life, its highest possible rating, and Standard & Poor’s affirmed New York Life’s top rating for life insurers in June. All four rating agencies maintained their stable outlook on New York Life’s ratings. Northwestern Mutual announced that Scott Butler, a wealth management advisor and managing director of the financial security company’s Rockville, Md., office, has been named chairman of the Howard Hospital Foundation’s board of trustees.Butler recently began his appointment as chairman. Prior to that, he served as vice chairman, and Butler has been on the board for the past four years, also serving as chairman of the foundation’s annual Benefit Golf Classic, as well as on numerous board committees.The Howard Hospital Foundation’s board of trustees guides the organization’s efforts to raise and manage funds for Howard County General Hospital in Columbia, Md.